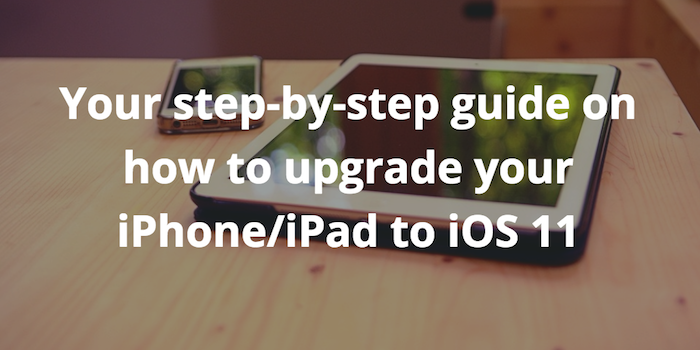 Not sure whether and/or how to upgrade your device to iOS 11? Here's a simple process that will make the upgrade to iOS 11 a breeze. Each lesson is relatively short (about 5 minutes reading time in average) and covers both mobile devices (iPhone, iPad & iPod Touch) and Apple computers (MacBook, iMac, Mac Mini & Mac Pros). Fantastic! Now check your email inbox to confirm your enrolment to the free Tips & Tricks email course. If you don't see anything within the next few minutes, please have a look at your spam folder. I'd like to receive 35 tips & tricks for my Apple devices too! © Copyright 2019 EasyTECH Sarl. All rights reserved.